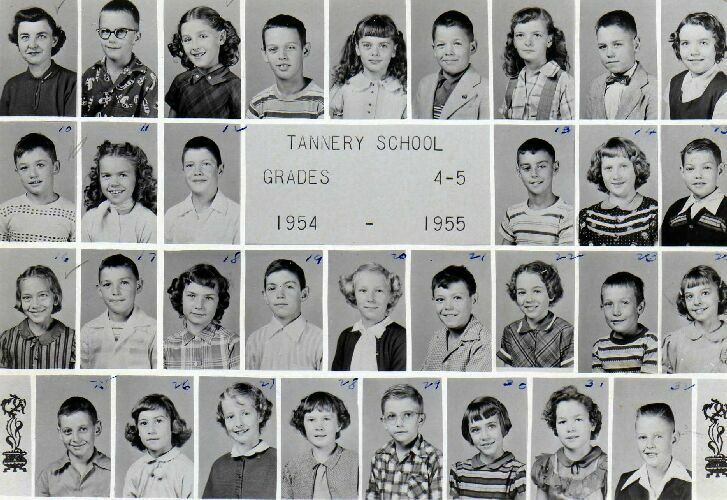 Tannery School Grades 4 and 5, 1954 - 1955. This year both 4th & 5th grades were in the same room with the same teacher. Teacher was Mrs Collins for both grades.